Tickets for tomorrow’s breakfast also start at $500 per person, though one can “sponsor” the event for $1000. 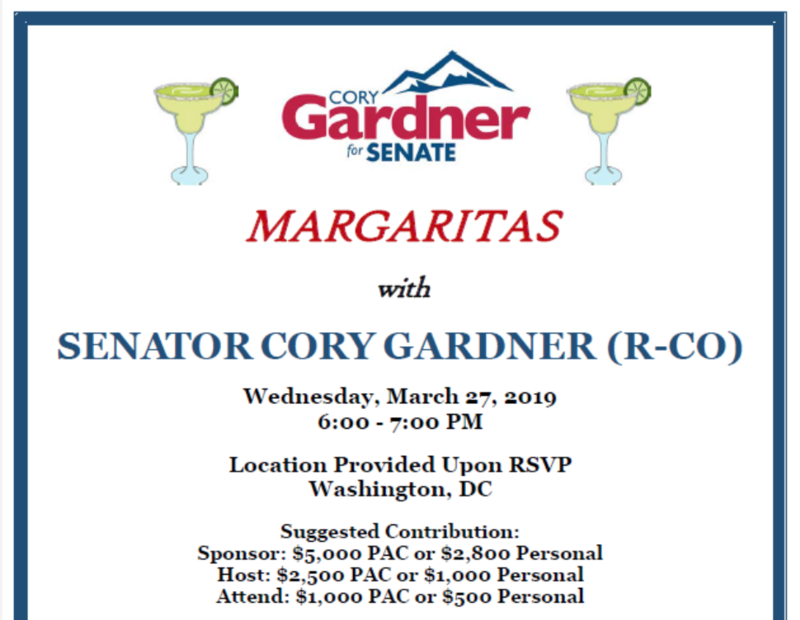 It’s unclear how much it costs to join “host committee. 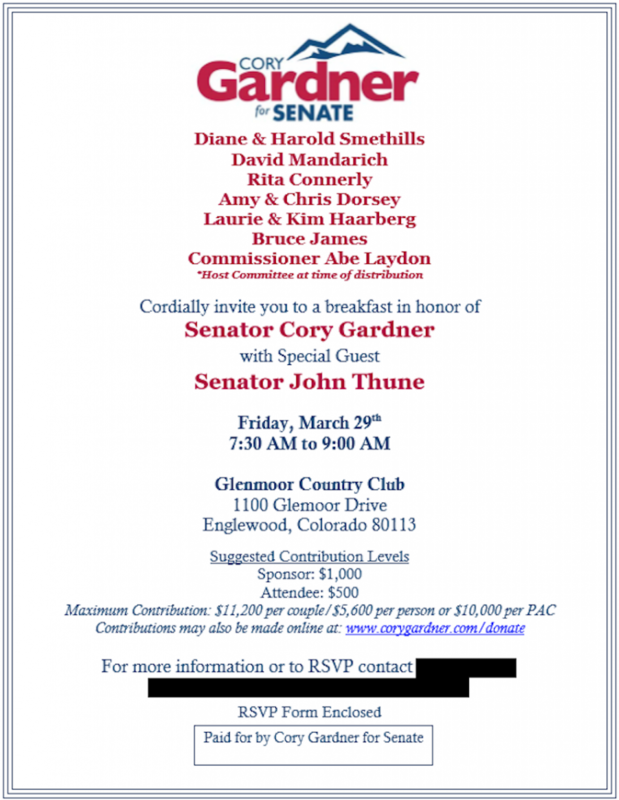 As of the invitation’s distribution, the listed names included several prominent Coloradans and one public official: Harold Smethills, David Mandarich, Brownstein Hyatt Farber & Shreck partner Bruce James, and Douglas County Commissioner Abe Laydon. Newly elected Douglas County Commissioner Laydon is an attorney and former member of the Douglas County Planning Commission, as well as a former vice chair of the county GOP. David Mandarich is the president of Richmond American Homes, a subsidiary of MDC Holdings, the massive development company owned by Larry Mizel. Television producer Chris Dorsey is the founder of Orion Entertainment. Harold Smethills is a Douglas County developer who founded the Sterling Ranch community. He serves on the board of Colorado Concern, a pro-business political advocacy group comprised of CEOs and industry heavyweights. CORRECTION: This post initially identified David Mandarich as president of MDC Holdings. He is president of Richmond American Homes. Larry Mizel is the Chairman & CEO of MDC Holdings, which owns Richmond American Homes. This topic contains 0 replies, has 1 voice, and was last updated by Erik Maulbetsch 3 weeks, 1 day ago.